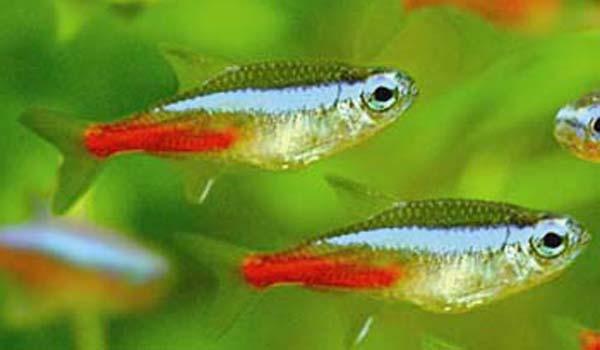 Neon Tetras are easily the most popular of all tropical fish with their amazing colour and peaceful schooling nature. They prefer soft slightly acidic water, and water temperatures about 24 C, but can tolerate other conditions as long as extremes are avoided. They look great at any time, but particularly when kept in planted aquaria in large schools. Do not keep them with large fish, as Neons only grow to 3.5cm.